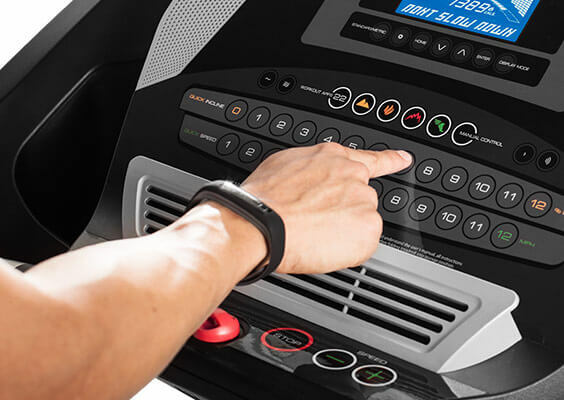 The ProForm 705 CST treadmill features handy QuickSpeed and Quick Incline controls, comfortable cushioning, and wireless Internet connectivity that allows you to customize your fitness program via the innovative iFit technology. 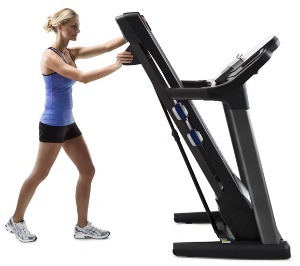 With so many features at such an affordable price, it's no wonder why this treadmill has become so popular. The 5" backlit display on the ProForm 705 CST treadmill has readouts for speed, time, distance, pulse, and calories burned, and it shows a track graphic display. Among the 22 preset programs, you get 4 Speed, 4 Endurance, 4 Weight Loss Intervals, and 4 Calorie Burn Accelerator Workouts and a variety of other options. The ProForm 705 CST treadmill has a good sized 2.75 CHP Mach Z™ Commercial Motor, a power incline motor than lifts the deck up to a 12% incline, the air-based ProShox™ Cushioning, and a 20" x 60" walking area. For entertainment, you get two built-in speakers and an mp3 dock for playing your favorite music during workouts. The sensors in the handlebars let you easily take your pulse reading while walking or running. The ProForm 705 CST also features a folding design with an easy hydraulic lift mechanism to lift the treadmill deck and store it out of the way. You can access the awesome iFit Coach program on your phone or tablet via Bluetooth, which lets you tap into an endless library of specially designed workouts, run anywhere in the world via Google maps and track and share all of your workout results. Customers and reviewers are generally pleased with the design and features on the ProForm 705 CST. They have improved nearly every area of the treadmill, and also upped the warranty to lifetime on frame and motor on the latest version. 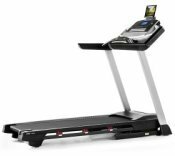 The Proform 705 CST is a bigupgrade of the 605Cs and is also nearly identical in specs to the Performance 600i treadmill by that also sells for around the same price, about $799 or so on sale. The 600i has an easy-to-read LED display while the 705 CST has a blue LCD screen and no fan, otherwise, the frame, motor, specs, and console layout are the same. 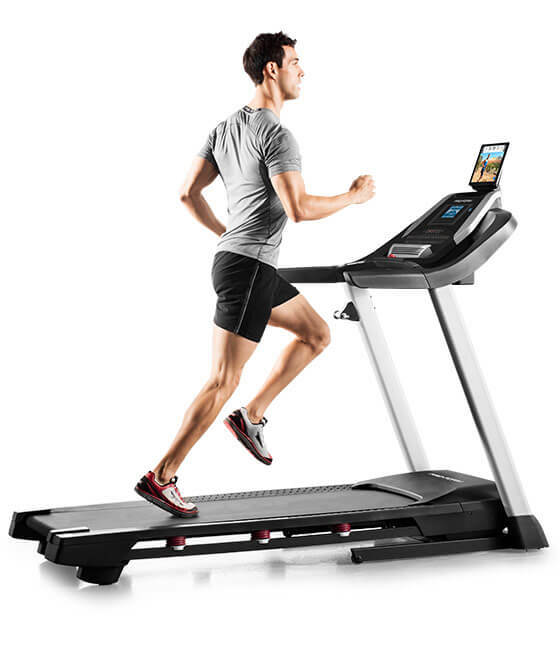 The best treadmills at this price all feature the same size motor, incline, and deck size, so it often comes down to the overall appeal of the machine, the LED vs LCD display, the strength of the warranty, and the company’s customer service reputation. Take a look at the 705 CST and the Performance 600i to see which one appeals to you most. If your budget is more open and you want something more advanced, take a look at the up-level Power Series or top of the line Pro Series. Those treadmills will give you a bit more of everything...stronger motors, more incline, more built in workouts and higher max user weight capacities. ProForm treadmills are currently on sale up to 40% off! Most Popular ProForm Treadmills are on sale right now!